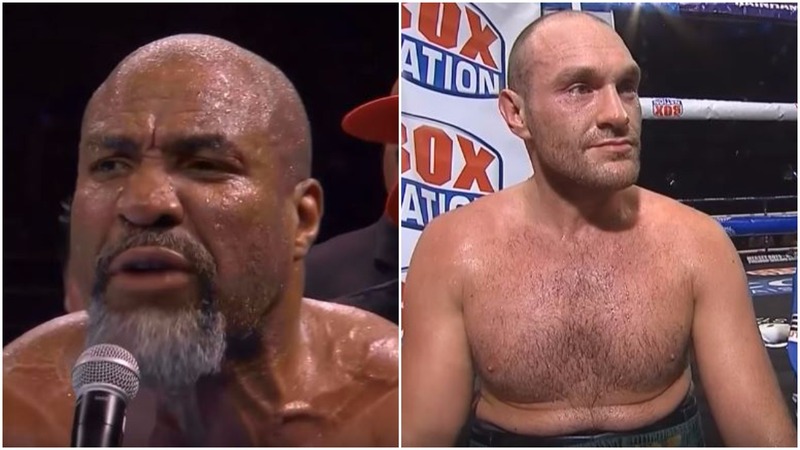 Shannon Briggs on looking for former heavyweight champion Tyson Fury in a well, truly ‘Lets Go Champ’ style story from Briggs. The self-promotion mogul of boxing Shannon Briggs has been back on the crusade in recent times to land a significant fight. He’s had his share of outside the ring troubles this year himself like former champion Tyson Fury has had. Accordingly, he perhaps senses that a comeback fight for both men against one another could make sense. Certainly, it would pit two guys who know how to sell a fight against one another which would make for a rather unique build-up, if anything. Well, there you have it. Perhaps only something that Shannon Briggs could have come up with really. Whether or not the fight happens remains to be seen, but don’t expect to hear the last of it from Briggs who in recent times appears to be back on his ‘Lets Go Champ’ tour.